Though I’m still recovering from the tragic loss of my invitation to Prince Harry and Duchess Meghan’s wedding (I assume the USPS is to blame, though perhaps it was lost by Royal Mail before it even had a chance to reach me across the pond? Harry, Meghan, I’m so sorry I wasn’t there! ), it seems that there’s finally a chance for those of us who weren’t able to attend to take in a bit of that royal wedding magic. That’s because this May, the couple is opening up Frogmore House to the public for three days of tours. 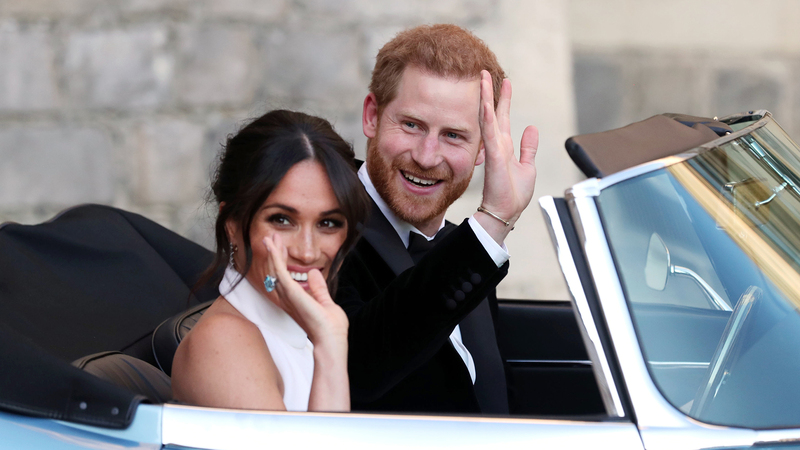 The couple was married at Windsor Castle in St. George’s Chapel, but after their ceremony they had an evening reception at Frogmore House, which is on the Windsor Castle grounds along with their home at Frogmore Cottage. Now, you can buy tickets to tour the venue on May 28, 29, or 30. Thankfully, the price of admission isn’t too costly – you can get in for less than $10, and the proceeds from all ticket purchases will go toward three charities selected by the couple: the National Garden Scheme, the British Heart Foundation, and the National Rheumatoid Arthritis Society. What to expect when you visit Frogmore House? You can stroll through parts of the lush 35-acre landscaped garden, walk by the lake, see Queen Victoria’s garden tea house, take a garden tour, or enjoy a picnic surrounded by the flowers and trees. If you can’t make it in April, you may still have a chance to see Frogmore House in all its glory. If you can get together a group of 15 people, you may be able to reserve a tour of the house in August. On these tours, groups will be ushered through the house and told the history of each room they see, finishing up with a glass of Champagne in the Colonnade Room which overlooks the gardens and lake — not a bad deal for £11.00 per person. Here’s hoping that Harry and Meghan receive the postcard I’m sending with details of my trip. I wouldn’t want their invitation to hang out with me at Frogmore House to get lost in the mail like I’m assuming their wedding invitation to me did!